Ours is an established Traditional Wing Chun School (Chief Instructor has 40+ years martial arts history with more than 3 decades in Wing Chun) teaching the full Wing Chun System, including Yip Man, Fatshan and Pin Sun material, Chi Kung, Weapons and Wooden Dummy. Serious but fun classes for all levels from first time beginners to Instructors. A disciplined but supportive environment for safe learning. West Indian Ex Servicemen and Women Association. 161-167 Clapham Manor Street, London SW4 6DB. THURSDAY 7.30 - 9.00 pm. 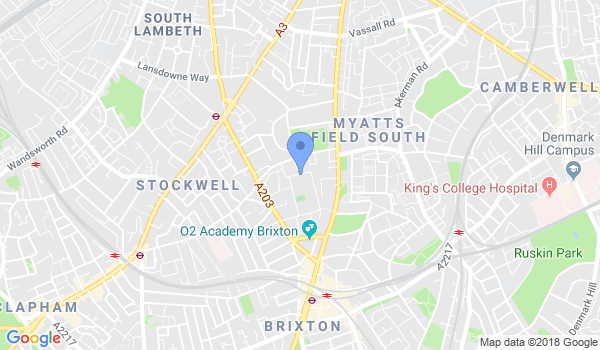 21 Aytoun Place, Brixton, London SW9 0TE. 5 Beaufoy Walk, Lambeth, London SE11 6AA. Adults: 10.30 - 12.00 am. Children (7yrs+): 12.00 - 1.30 pm. Edmundsbury Estate, Ferndale Road. London SW9 8AY.. The complete Wing Chun system is taught. All forms, applications and drills, sparring, self defence, ChiSao, Yip Man, Fatshan, Gulao Pinsun and Dai Lim Tao material, Wooden Dummy, Hong Kong and Fatshan Poles, Double Butterfy Swords. Chi Kung power, inch punch training. Childrens class on Saturday (7-14 yrs). All Venues are one club, in 4 locations in the Brixton, Clapham, Stockwell and Kennington areas. Feel free to visit a class. All levels welcome from raw beginner to Instructor level. Technical developmental lessons in a disciplined yet supportive environment. Structured developmental syllabus. Monthly fees, contact for details. Would you like more information on hours, classes and programs available at Brixton and Clapham Wing Chun Kung Fu? Please contact the school with your questions. Update the details, Write a Review or Report Error of Brixton and Clapham Wing Chun Kung Fu.